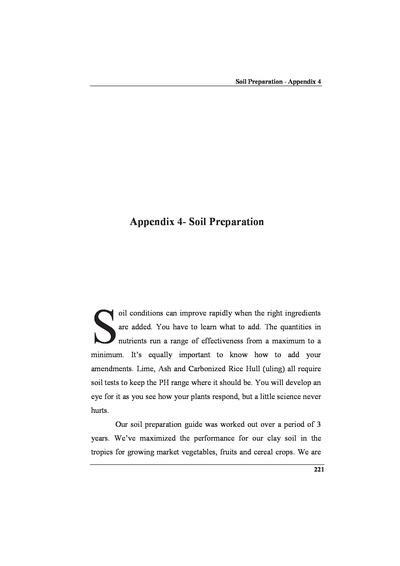 Soil conditions can improve rapidly when the right ingredients are added. You have to learn what to add. The quantities in nutrients run a range of effectiveness from a maximum to a minimum. It’s equally important to know how to add your amendments. Lime, Ash and Carbonized Rice Hull (uling) all require soil tests to keep the PH range where it should be. You will develop an eye for it as you see how your plants respond, but a little science never hurts.